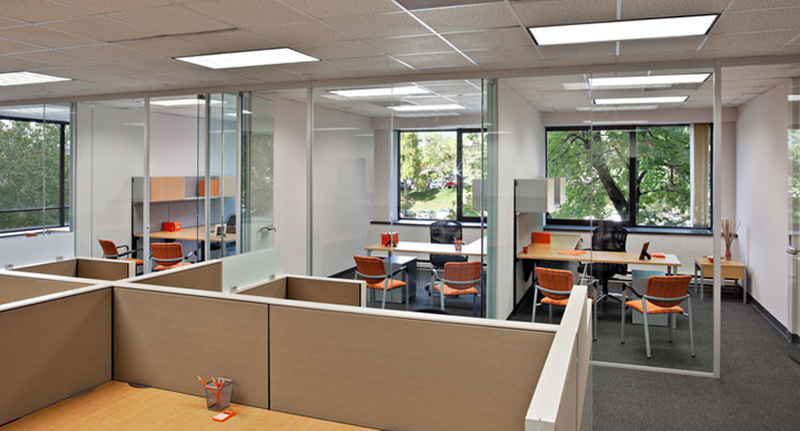 Glass interior office walls provide a unique design element for your office space, and it can be a refreshing improvement to traditional walls and barriers within the office. 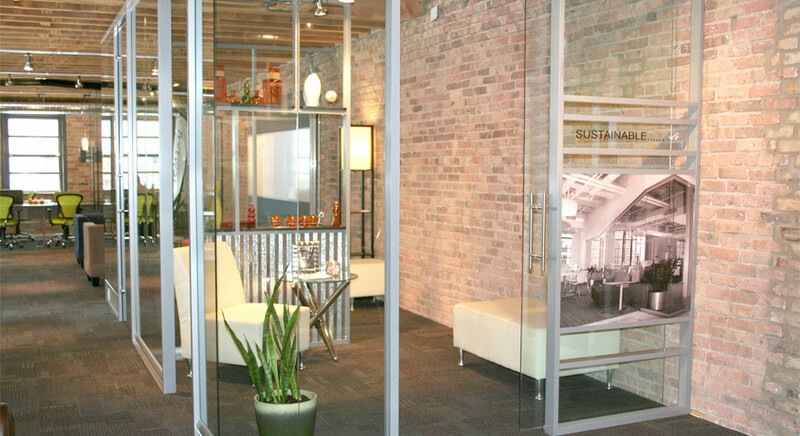 Glass walls are becoming more popular among architects and interior designers because they add both versatility and beauty to your commercial space, turning it into a more positive environment for employees and clients alike. The benefits are numerous: better communication, an environment of fostered collaboration, & more natural light and expansive outdoor views throughout the office. Additionally, many employees say the light and openness improve their mood, which in turn increases productivity. 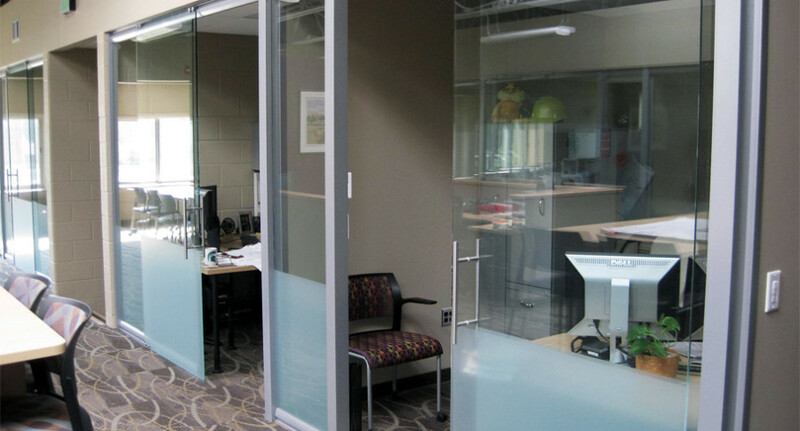 Movable glass and modular dividing walls also represent huge energy and real estate cost savings. 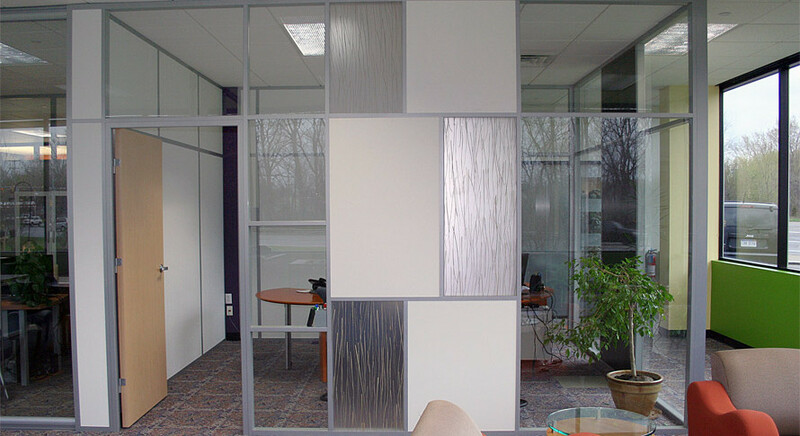 Furthermore, glass walls can accommodate a variety of frosted, patterned and graphic window films that help create visual privacy where needed. 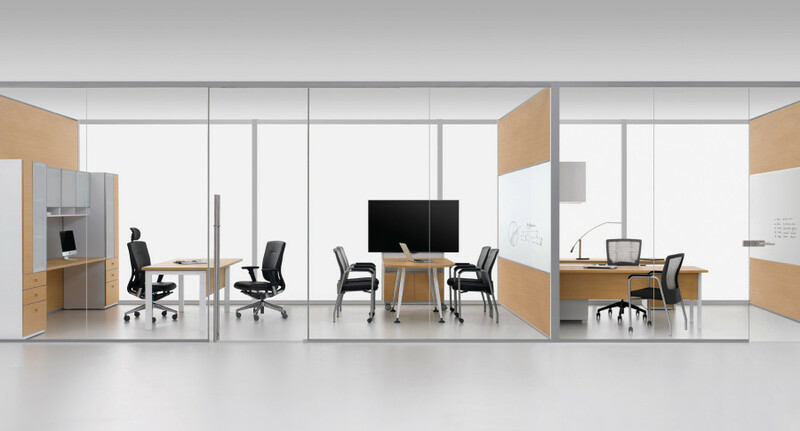 This flexibility enables creation of separate work zones for concentration and collaboration.